The idea is simple and in my opinion quite ingenious! The dishwasher gloves are basically thick, reusable rubber gloves – with only one difference. On the palm of the hand there are many small rubber studs, which make a big rubber brush. They replace a sponge, cloth and dish washing brush in a gadget that sticks to your hands. The dishwasher gloves are much more hygienic, as long as you clean and disinfect them regularly. In addition, your hands remain dry and do not come into contact with the dishes or dirty water. At the end you can simply hang the gloves to dry. The suspension is attached to the middle finger of our GearBest model and to the opening of others. But I can’t tell you whether this has advantages or disadvantages. 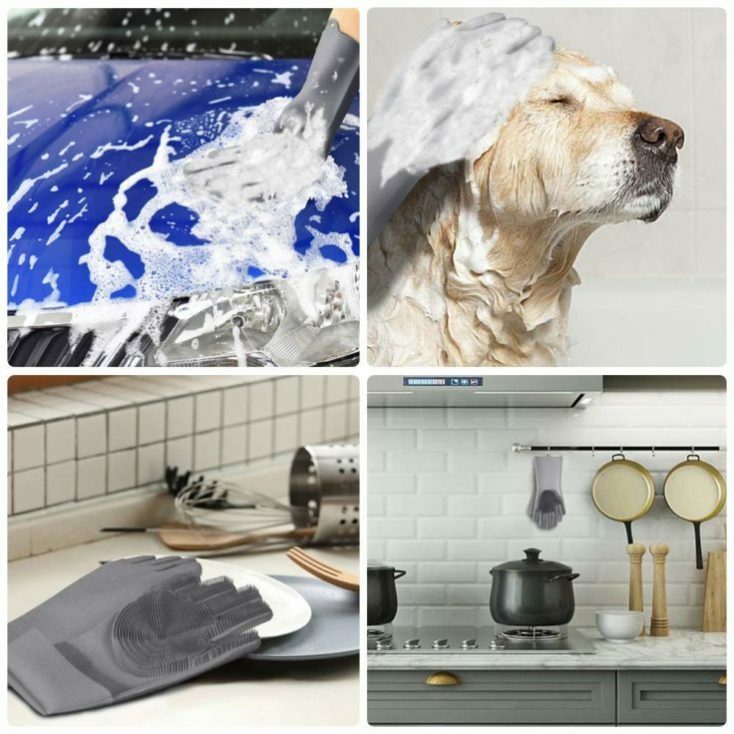 Of course, the use of cleaning gloves is not only limited to washing the dishes, they can also be a useful helper in the bathroom and at least help to remove coarse dirt particles. I see the rubber gloves as even more useful when cleaning cars: Especially with stubborn dirt on the rims, you have the possibility to clean the wheels precisely and thoroughly. The gloves can also help with the care of your favourite pet. Especially if your four-legged friend likes to play in the mud, the gloves help like a kind of comb to gently brush it out of the fur. Not only does this save time, but you also treat your dog to a massage that is certainly not unpleasant. What do you think of this gadget?